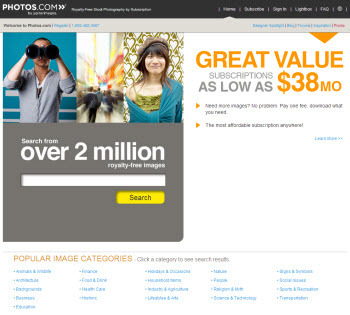 Photos.com is venerable, being one of the few companies around before the internet. I have a collection of (costly) Photo CDs from them. And if you every purchased one of the bright boxes full of “4 Million Images of CD/DVD” you know photos.com. Of course, that long history means some of the images are a bit dated, or perhaps seen in many other layouts over the years. But the images are good quality, the search is nice and the thumbnails easy to review and use. The subscription rates are some of the best, so another reason you see the images a lot. You can also get some things here not available at others: a sound effects library, custom fonts and Flash animations. Getty Images is an industry force, owning many of the other services, used by major media (newspaper, magazine, TV) and the place to get images of real (famous) people, real-life video and audio. This is the benchmark for professional quality images and breadth of search options. It does come at a price, but you definitely get what is paid for. Everyone should click the “Search Tips” button and read how to maximize search results (same tips apply to virtually all sites). 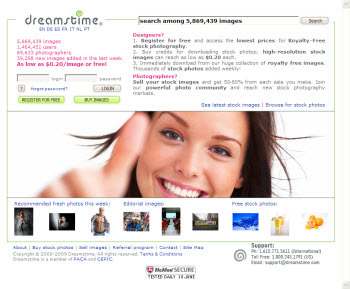 Dreamstime has been around for a while, but I do not hear a lot of people talking about it. One reason may be their Royalty Free license has more options than most and the image price can vary quite a bit based on the options (which seem confusing and easier to find images elsewhere without the confusion). But the images are great, with lots of unique photography for topics not found on other sites. JupiterImages Unlimited is a Getty Images company – a central service that gives access to images from several Getty companies. 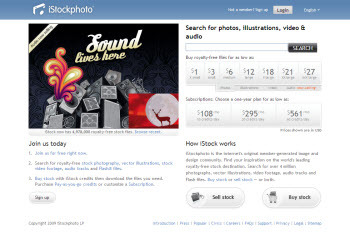 The mid-level “Essentials” subscription shows images from photos.com, ablestock.com, liquidlibrary and photobjects.net. I spent a few months using this site for a project through a clients’ subscription. The images are great, quality top notch and selection wide. Doing a vector search brings up lots of great vector images, but also plenty that are dated and lackluster. Another highlight is the huge library of photo object images (photos shot on a white background). 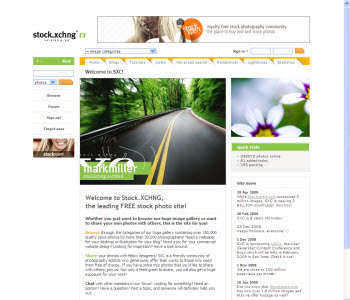 “Stock Exchange” (Stock.XCHNG) bills itself as the leading FREE stock photo site- and I would have to agree. This is definitely one of my go-to resources as the quality is good, image size is great (near fullsize print quality) and it is a true image site, though the search can give limited results. It does have ties with pay sites, so note the 1st row of images on each page is not part of the free options (and that’s why they look perfect). Another consideration is everything is a .jpg image, even the vector looking images (because the vector version is available at the affiliated pay site). Pay Per Image: No – They are all free! * With alternate search terms I was able to located 100’s of images for each, just took more effort. Shutterstock Photos – Lots of images, including vector! 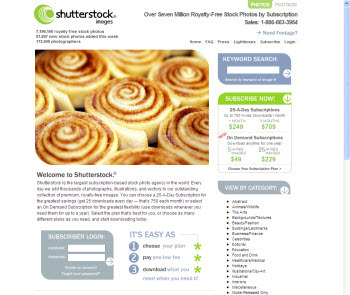 Shutterstock Photos is one of the sites I have been using a lot lately. They offer a huge selection of images, all professional quaility, though some a bit dated and a great selection. One option I have made really good use of is the number and diversity of vector art, especially for developing template background images. I use images a lot. They can be to accent text, or be the entire slide. Back in ancient history (10-20 years ago), we did lots and lots print design and spent lots and lots of money on royalty free images on photo CDs. If you don’t remember those days, it averaged $300-500 for a disk with 20-40 images based on a theme. A disk was usually purchased for 1 or 2 images and we hoped to be able to use other images on future projects. 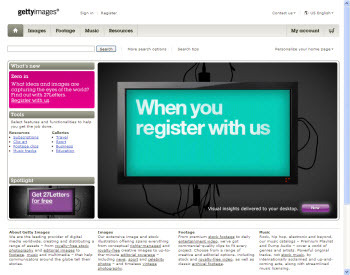 Today we have a huge number of online, royalty free image sites – plus flicker, google images and even Microsoft Online. It’s does not cost much to design highly visual layouts now. So I spent a week and pulled together some information on the image sites I like and use on a regular basis. I made some notes about likes and dislikes and did the exact same image search at all to compare the results. For the balance of September I will list a different image resource with each post, hopefully you can discover a few new ones. Oh What a (9th) Day! 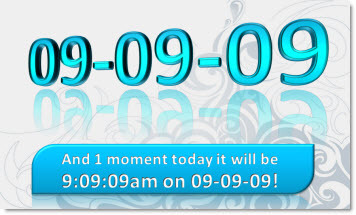 (9th month, 9th day, 9th year of 2000) – very cool. 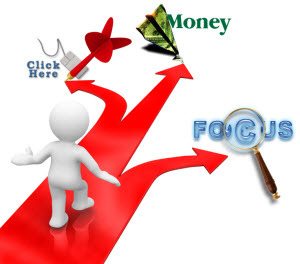 …yes, the image was created in PPT 2007.